If you are a small business owner, you know that promoting your business is important. An open sign on the front window isn’t enough to draw in customers. But, sometimes it’s hard to squeeze out any money on marketing or advertising, especially when you are just starting out. Send A Press Release To The Media: News media, especially in small towns, are short-staffed and always appreciate a good story idea. 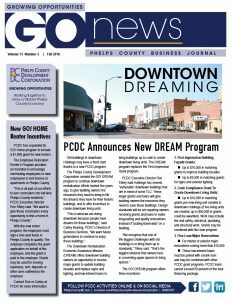 I worked in small-town newsrooms for six years, and I was always excited to receive a press release about a new business or a unique event. Some topics worthy of a press release may include a grand opening, a new product or service being offered, an anniversary celebration, a new employee or a special unique event. When I sent a press release to the news media about a new Fit Farmer’s program at a YMCA, the news media scooped it up right away. Newspapers republished the press release, and the local television station invited us to talk about the new program on live television. If your business has an event, an anniversary, a new employee or a grand opening coming up, write up a few paragraphs and email the information to your local newspaper, television or radio station. If you’d like a more in-depth press release, KRJPR can help. Send An Email: Why do you think you have an email from Target in your inbox nearly every day of the holiday shopping season? These large retailers know the power of email. And, it works for smaller retailers as well. Start collecting your customer email addresses during the check-out process. Or, sponsor a giveaway in which customers share their email addresses to win a prize. Loyal customers should be glad to give you their email address if you are promising to send them news of your sales and specials. They won’t want to miss out on the deals. You can make the email process simple by just sending your customers a few typed paragraphs (be sure to list their addresses as bcc), or you can sign up for an online email service that will track emails for you and keep all kinds of statistics about who opened the emails and when. Some good online email services are Constant Contact, Convert Kit and Mail Chimp. I recommend Mail Chimp because it’s free if you have fewer than 2,000 subscribers. Flyers: Use Microsoft Word, Publisher or online applications like Canva to create a simple flyer for your business, sale or event. Post the flyer on your social media channels and print off copies to display around town at businesses, community centers and churches. Table Tents: Sometimes, restaurants will allow you to put a table tent flyer on their tables for upcoming events. We promoted an upcoming weight-loss challenge for a YMCA on table tents at area restaurants. One local patron signed up for the challenge because he saw the table tent and ended up losing nearly 100 pounds! That little table tent may have saved his life! To create a simple table tent, fold an 8.5 by 11 sheets of paper into thirds and tape it. Put your information on the three panels using Microsoft Word, Publisher, Canva or other design software. Social Media: Post regularly on your favorite social media channels, including Facebook, Instagram, Twitter, Pinterest or LinkedIn. There’s no fee to join any of these channels. However, don’t rely exclusively on social media. Many small business owners make the mistake of creating a Facebook post and then assuming that everyone knows about it. Statistics show that only about 6 percent of your fans Facebook fans will see a post that is not promoted. Use social media in addition to one or more of the other freebie publicity ideas to get the most traction. Speak at a Community Event: Often community groups like Rotary or women’s church groups invite speakers to give presentations. Although the group of people who actually attend may be small, the event will also likely be promoted in the local media or church newsletter leading up the event, giving you an extra chance of publicity. Create a Company T-shirt and Wear It Often: T-shirts can be created for less than the price of a Facebook ad and can be worn over and over again. Get creative with your business or non-profit T-shirt idea. Be funny or create a memorable phrase that relates to your business or mission. Wear the T-shirt if you volunteer for events or plan to be out among your potential clients or customers. Check with your local t-shirt shop or order custom-designed shirts at 24-hour tees or Custom Ink. Facebook is an inexpensive and effective tool to help market your small business, especially if you can create posts that generate conversation and lots of attention. Here are a few tips for creating a great Facebook page that will help your small business or non-profit organization shine. Don’t use your Facebook page solely as a means to announce closings. Customers don’t appreciate browsing on a business’ Facebook page and just seeing a listing of closings. Yes, sometimes, you have to post closings on Facebook, but it shouldn’t be a daily or weekly occurrence. Post engaging photos with your posts. Statistics show that posts with photos attract more than twice the amount of engagement as those without photos. If you aren’t a good photographer, hire one, subscribe to a photo service like Adobe Stock or use Canva (free and paid subscriptions available) to create Facebook posts. Videos are also effective at engaging Facebook fans. You can create a simple video with your phone, or create videos using your existing photos and copy with the free Lumen 5 service. We made our first Lumen 5 video for Facebook in about 30 minutes. 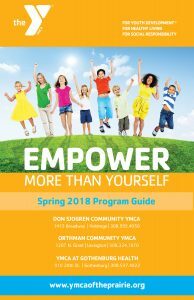 The Orthman Community YMCA has done an excellent job of using video. They make a video nearly every Friday to share about upcoming programs and events. It not only keeps their members informed, but it helps members to get to know the Y staff and feel more connected. Keep your brand consistent on Facebook. If your brand is vibrant and colorful, create vibrant and colorful posts on Facebook. If your brand is old-fashioned, keep your Facebook posts the same. Avoid sharing your political views on your Facebook business page. Politics can be deeply personal for many, and you don’t want to risk alienating customers due to a potential political difference in opinion. Contests are a great way to generate new Facebook fans. Give away a product, offer a sale, etc. Just be sure you are following the official Facebook rules for contests. 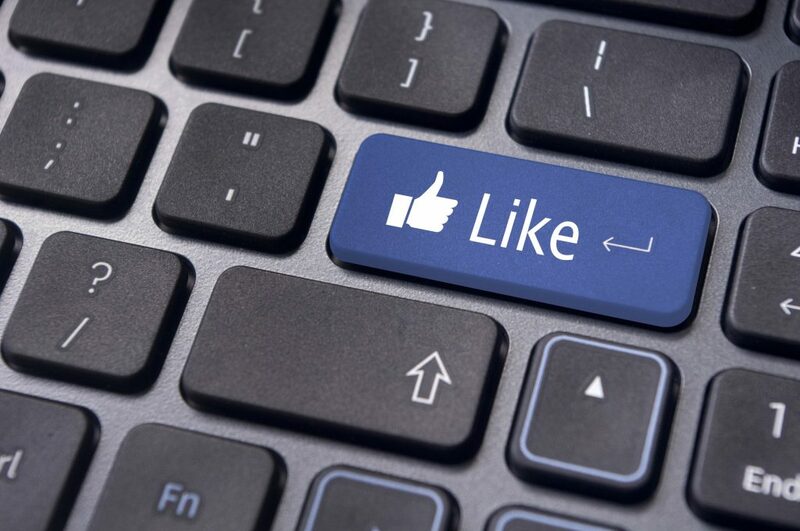 Share content from other Facebook pages that would resonate with your customers. Sharing is caring on Facebook. When you share another page’s post (ensuring their name is still on the post), they will generally be happy that you are helping them out, too. They may share your Facebook posts in return. Take advantage of Facebook ads and boosts if they make sense for your business. Facebook boosts can be purchased sometimes for a little as $10, and you can target specific audiences with specific interests or in specific towns. Recently, a food truck from out of town was coming to our town. Their only advertisement was Facebook ads targeting people in my town. I saw the ad several times, many people shared it, and the food truck had a successful day in our rural town. Facebook ads do work! An annual report is a great tool for sharing your non-profit or business story. 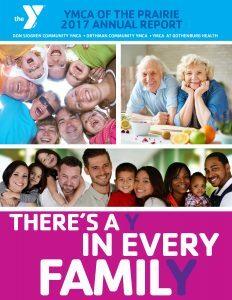 The YMCA of the Prairie annual report is a key factor in its annual campaign. It allows donors to read inspiring stories about how the Y has impacted members, and it lists previous donors and financial information. By sharing these stories and information, it creates a positive vibe about the YMCA for members and donors and may increase the likelihood of an annual campaign gift. Download a copy of the 2017 YMCA of the Prairie Annual Report. The Sky’s The Limit in Phelps County! 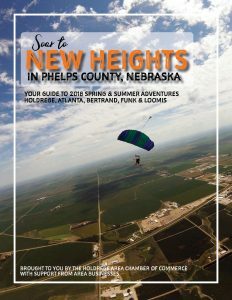 The Holdrege Area Chamber of Commerce Tourism Guide gives visitors and residents a glance at all the exciting attractions and events in Phelps County. 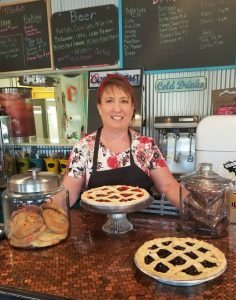 It’s a great way to promote the county to visitors, and it’s a great way for businesses to advertise to tourists or newcomers to the community. Sometimes, the best way to promote your business is through education. Each month, dentist Grant Hinze provides his clients with an educational blog on topics related to teeth and dentistry. The blogs are shared on his website and Facebook page and help keep him connected to his patients. Since Dr. Hinze is busy with tending to patients, he provides KRJPR with a bit of information through a short interview, and we craft the stories and promote them. October is full of frightful and spooky activities, but the dentist’s office isn’t one of them. 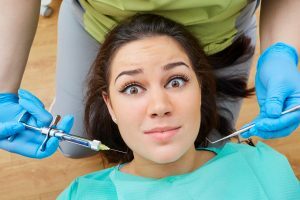 Read our latest blog for tips on easing dental fears in children and adults.